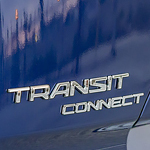 The Ford Transit Connect comes in both passenger and cargo van configurations can suit a wide variety of driving needs in Knoxville. They are equipped with a wide variety of modern safety features that will allow you to drive in difficult situations with confidence. Lance Cunningham Ford can show you the different models that are available. To assist you with backing up, the Ford Transit Connect comes equipped with a rearview camera. You'll be given guides to help you judge distances to objects so that you can get into tight spaces with ease. The optional audio system can sound an alarm if you're about to hit something that you don't see. The tire pressure monitoring system is designed to alert you whenever one of your tires doesn't have enough pressure. This will let you keep all of your tires at the recommended pressure.